Joseph Louis Gay-Lussac – French chemist and physicist. A French chemist and physicist who pioneered investigations into the behavior of gases established new techniques for analysis, and made notable advances in applied chemistry, Joseph Louis Gay-Lussac was born on 6 December 1778 at Saint-Léonard-de-Noblat in the present-day department of Haute-Vienne. He is known mostly for his discovery that water is made of two parts hydrogen and one part oxygen (with Alexander von Humboldt), for two laws related to gases, and for his work on alcohol-water mixtures, which led to the degrees Gay-Lussac used to measure alcoholic beverages in many countries. Gay-Lussac was noted for his pioneering investigations into the behavior of gases and for his studies of the properties of cyanogen and iodine. Born as the son of a successful lawyer, he had a privileged childhood that was rudely disturbed during the French Revolution of 1789 following which his father lost much of his fortunes. The revolution also delayed his education as the Abbey of Bourdeix who had been giving Joseph private tuitions fled the country in the midst of the political turmoil. Initially, his father wanted him to become a lawyer though the young boy had always been more interested in scientific pursuits. A bright student, he was successful in entering the École Polytechnique, a newly founded institute where students’ expenses were paid by the state. This enabled him to get a quality education in spite of his family’s modest financial status. Eventually, he went on to become a reputed chemist and physicist and gained much fame for his work on the behavior of gases. Throughout his career, he collaborated with other noted scientists like Jean-Baptiste Biot, Alexander von Humboldt, and Louis Thenard to come up with significant scientific achievements. Joseph-Louis Gay-Lussac (French: ʒɔzɛf lwi ɡɛlysak), was born on 6 December 1778 in Saint-Léonard-de-Noblat as the eldest son of Antoine Gay and Leonarde Bourigner. His father was a lawyer and prosecutor, who worked as a judge in Noblat Bridge. Joseph had four siblings. In 1789, at the beginning of the French Revolution, his parents found it necessary to keep Gay-Lussac at home, where he received his early education. But by 1795, the Reign of Terror having abated, Gay-Lussac was sent to Paris to prepare for entry into the École Polytechnique. He remained at the Pension Savoure and a number of other boarding schools until he gained admittance to the Polytechnique in 1797. Here he became the protégé of Claude Louis Berthollet and graduated in 1800. Following his graduation, Gay-Lussac entered the civil engineering school, the Ecole Nationale des Ponts et Chaussées. However, he soon dropped out to pursue his interest in chemistry. Berthollet took him to his private laboratory in Arcueil, where Gay-Lussac came into contact with the physicist-mathematician Pierre-Simon Laplace. These two scientists exerted a profound influence on his career. Joseph-Louis Gay-Lussac married Geneviève-Marie-Joseph Rojot in 1809. He had first met her when she worked as a linen draper’s shop assistant and was studying a chemistry textbook under the counter. He fathered five children, of whom the eldest (Jules) became assistant to Justus Liebig in Giessen. Some publications by Jules are mistaken as his father’s today since they share the same first initial (J. Gay-Lussac). Upon graduation, Joseph Louis Gay-Lussac entered the prestigious École Nationale des Ponts et Chaussées (School of Bridges and Highways). He withdrew from this school in 1801 to become chemist Claude-Louis Berthollet’s research assistant. Berthollet, who had recently set up a laboratory in his country house at Arcueil, just outside of Paris, became the focus of a small but very influential private scientific society. The society’s first volume of memoirs, published in 1807, included contributions from Gay-Lussac. In 1802, Gay-Lussav was appointed demonstrator to A. F. Fourcroy at the École Polytechnique. In the same year, he published an important paper relating to the properties of gases. Gay-Lussac found that the rate at which all gases expand with increasing temperature is the same. This was a significant discovery, as it paved the way for the concept of absolute zero, the temperature at which the volumes of all gases are reduced to zero. Also around this time, he embarked on an ambitious series of experiments involving phenomena as diverse as the behavior of fluids and vapors, and the improvement of thermometers and barometers. 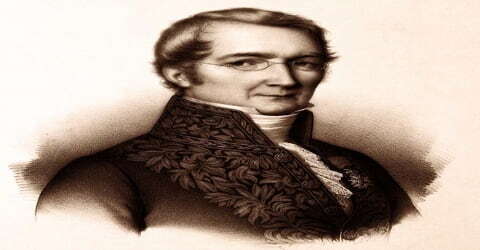 In 1805-06, Gay-Lussac embarked on a European tour with the scientific explorer Alexander von Humboldt. On this expedition, they discovered that the composition of the atmosphere does not change with decreasing pressure (increasing altitude). He also established that hydrogen and oxygen combine by volume in the ratio 2:1 to form water. Of the laws Gay-Lussac discovered, Gay-Lussac remains best known for his law of the combining volumes of gases (1808). He had previously (1805) established that hydrogen and oxygen combine by volume in the ratio 2:1 to form water. Later experiments with boron trifluoride and ammonia produced spectacularly dense fumes and led him to investigate similar reactions, such as that between hydrogen chloride and ammonia, which combine in equal volumes to form ammonium chloride. Further study enabled him to generalize about the behavior of all gases. Gay-Lussac’s approach to the study of the matter was consistently volumetric rather than gravimetric, in contrast to that of his English contemporary John Dalton. In 1807, a year after Gay-Lussac’s return to France, Berthollet established a society of scientists called the Societe d’Aucuiel. Gay-Lussac was included in its membership. He discovered the law of the combining volumes of gases in 1808. He also investigated reactions between hydrogen chloride and ammonia, which combine in equal volumes to form ammonium chloride. Another example of Gay-Lussac’s fondness for volumetric ratios appeared in an 1810 investigation into the composition of vegetable substances performed with his friend Louis-Jacques Thenard. Together they identified a class of substances (later called carbohydrates) including sugar and starch that contained hydrogen and oxygen in the ratio of 2:1. They announced their results in the form of three laws, according to the proportion of hydrogen and oxygen contained in the substances. Gay-Lussac presented a much more complete study of iodine in a long memoir presented to the National Institute on August 1, 1814, and subsequently published in the Annales de Chimie. 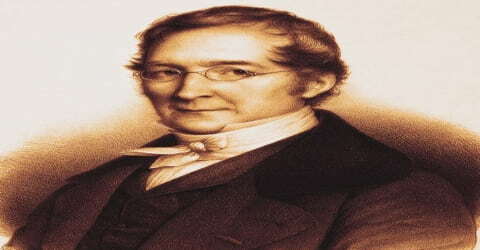 In 1815 Gay-Lussac experimentally demonstrated that prussic acid was simply hydrocyanic acid, a compound of carbon, hydrogen, and nitrogen, and he also isolated the compound cyanogen ((CN)2 or C2N2). His analyses of prussic acid and hydriodic acid (HI) necessitated a modification of Antoine Lavoisier’s theory that oxygen was present in all acids. 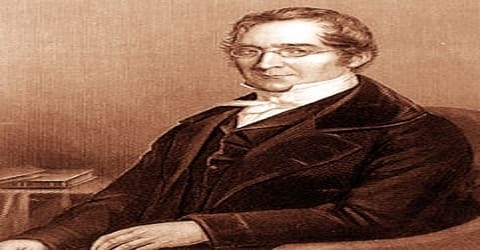 In 1815, Gay-Lussac carried out some important research on iodine and its compounds, although British scientist Humphrey Davy is generally credited with having identified iodine as an element. The name Gay-Lussac gave the element, iode, and its English derivative, iodine, was the one that came into general use. In 1816, Gay-Lussac became the joint editor of the ‘Annales de Chimie et de physique’, a position he shared with François Arago. This was an influential position and contributed significantly to his income. Gay-Lussac became a member of the government gunpowder commission in 1818 and was appointed as director of the assay department at the Paris Mint in 1829 where he came up with an accurate method for the assaying of silver. These positions too brought him a lot of wealth. Accepting these positions, however, also earned him considerable criticism from his colleagues who accused him of turning towards the path of financial gains rather than dedicating his life to pure science. In 1824, Gay-Lussac played host to the young Liebig, who remained at Gay-Lussac’s laboratory for about six weeks investigating prussic acid. This somewhat quenched the intellectual thirst of the young chemist, who found it hard to find a place where he could receive instruction in chemical analysis. Liebig went on to establish a laboratory where he educated an entire generation of chemists, based on what he had learned in Gay-Lussac’s laboratory. Gay-Lussac often allowed young scientists to work in his laboratory, and in this way trained many of the famous names that succeeded him in his researches. Gay-Lussac was also an inventor and is credited with the development of the portable barometer, steam injector pump, and the air thermometer. He created an improved version of the burette that included a side arm in 1824 and coined the terms “pipette” and “burette”. Gay-Lussac also performed experiments to determine the strength of alcoholic liquors. In his final years, he served as a consultant for the glass factory at Saint-Gobain. Such a wide array of appointments attests to the value his contemporaries placed upon applying chemistry toward solving social and economic concerns. Still, Gay-Lussac did not escape criticism from colleagues for turning away from the path of “pure” science and toward the path of financial gain. In 1832 Gay-Lussac resigned from the Sorbonne and accepted the chair of chemistry at the Jardin des Plantes. In 1831 he was elected to represent Haute-Vienne in the chamber of deputies, and in 1839 he entered the chamber of peers. In 1848 (the year of revolutions) Gay-Lussac resigned from his various appointments in Paris, and he retired to a country house in the neighborhood of his youth that was stocked with his library and a private laboratory. Joseph Louis Gay-Lussac was elected a foreign member of the Royal Swedish Academy of Sciences in 1821. Joseph Louis Gay-Lussac was made a peer by King Louis Philippe in 1839. His name is one of the 72 names of French scientists, engineers, and mathematicians engraved in recognition of their contributions on the Eiffel Tower. 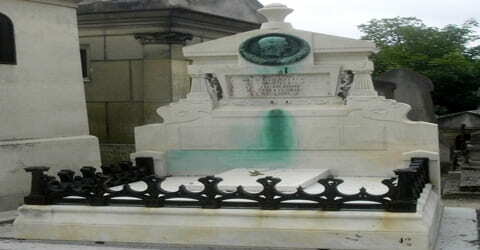 Joseph Louis Gay-Lussac suffered from ill health during his last days and died on 9 May 1850, in Paris, and his grave is there at Père Lachaise Cemetery. His name is one of the 72 names inscribed on the Eiffel Tower. Gay-Lussac is best remembered for formulating the Gay-Lussac’s law which is used to refer to each of the two relationships which concern the properties of gases. The term is also applied to his law of combining volumes. The first law relates to volumes before and after a chemical reaction while the second concerns the pressure and temperature relationship for a sample of gas. These discoveries demonstrated his powers of generalization and his talent for uncovering underlying principles behind phenomena. Generations of chemists and physicists had their start through internships in Gay-Lussac’s laboratory. There can be little doubt that he was a great and much sought after teacher. It cannot but be admitted, however, that Berthollet’s mentorship had much to do with Gay-Lussac’s successful career. Gay-Lussac’s name will be forever remembered, not just for the laws named for him, but for their actual effect upon the history of chemistry and physics. Biography of Sammy Davis Jr.